It’s an age-old philosophy: if you want to keep something out, just build a big wall. 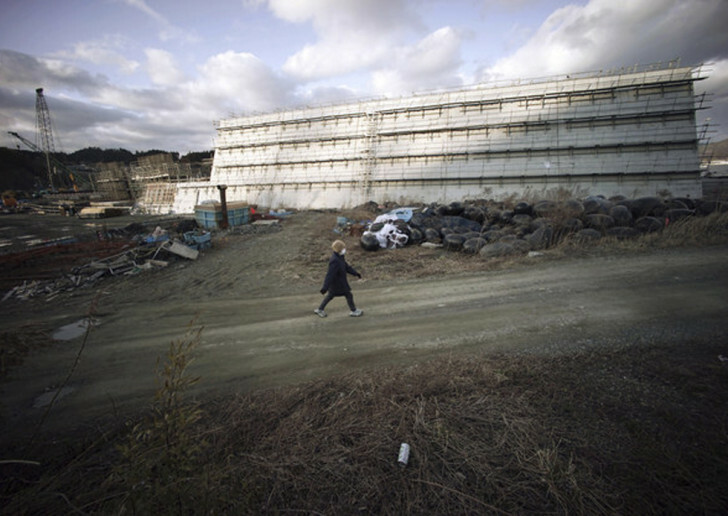 That’s exactly how Japan is approaching future tsunamis in the wake of the 2011 disaster that wiped out much of its northeastern coast and incited the Fukushima meltdown. The country is in the process of building a roughly 250-mile-long chain of cement sea walls along its coastline—some of which are five stories high in places—with the aim of keeping future giant waves at bay. At a total cost of 820 billion yen, or $6.8 billion USD, these unsightly concrete barriers are subject to a lot of opposition in Japan from people who say they will damage marine life, impact tourism, and affect fisheries. At the same time, opponents say that the walls aren’t likely to do much to protect people who live in the areas, as residents have been asked to move to higher ground. Osabe resident Kazutoshi Musashi really doesn’t like looking at the 41-foot-high barriers in his northern fishing port hometown. “The reality is that it looks like the wall of a jail,” Musashi told Phys.org. He has no reason to need the walls either, since he no longer lives near the ocean; he moved further inland after the 2011 disaster. But those in favor of the walls believe that they’re needed to protect the coastline, and also to provide jobs during construction. Big public works projects using concrete are a favorite of Japan’s Liberal Democratic government, which is known to support big business and construction. Within the debate lies the irony that having these walls in place could make area residents even less likely to heed announcements to evacuate than they did in 2011. Many of the 18,500 people who died or went missing in the 2011 tsunami did so because they didn’t listen to evacuation warnings. 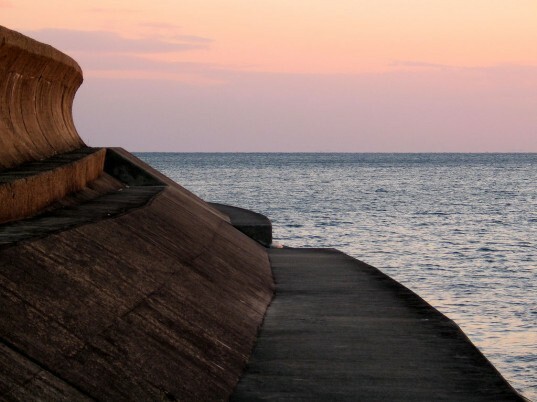 Japan is in the process of building a roughly 250-mile-long chain of cement sea walls along its coastline. The walls, which are five stories high in places, are being constructed with the aim of keeping future tsunamis at bay. The new sea walls Japan is building are not nearly as elegant as this.